Really, when it comes down to it, I couldn’t have asked for a better month, training-wise. I feel like I’m gaining fitness at a good rate. I’ve been trying to be very aware of any signs of overtraining, but my body seems to be reacting well to the increased training load. My paces have stayed the same (or even sped up) as my distances increase. I’ve had a few less-than-stellar workouts, but that’s to be expected. For the most part, my workouts have been steady and productive, which is ideal. I’m really trying to trust my training plan. I can only hope that good, solid training will lead to a good solid race. My health has been solid. I’ve been starving most of the time which means I’ve been eating. That’s a plus. My weight has dropped down, but just a bit, and it’s stabilized. I’ve still been trying to focus on eating enough. Fueling is so, so important. Fortunately, Rob has been food-pushing like mad, and he’s helped me stay on top of the food situation almost as much as my insatiable hunger has. While I haven’t been sleeping as well as I should be, I haven’t been feeling overwhelmingly tired in general. I’ve noticed that as the days get longer, I actually seem to need a little less sleep, so I think that’s part of what’s happening. Best of all, I haven’t had any niggling pains. My IT band is holding up well under the stress, and nothing new has developed. Most encouraging workout: My 2-hour ride at 17.1 mph. On most of my bike rides, I have been just barely hitting 16mph. I know that typically, the pace on my training rides is artificially deflated due to stopping at starting at traffic lights and stop signs, but I was still wondering how in the world I could hope to hit even by B-goal (16mph) over the course of 112 miles. This ride, while it was flatter and faster than the Ironman course will be, gave me hope that I will be able to ride a decent bike leg. Most discouraging workout: My three hour bike ride (which was also my longest). Nothing was particularly awful about this ride. I had been excited to up the distance because my long rides had been so heartening. However, my legs just didn’t have it this ride. I struggled more than usual and much more than I expected to. It left me a little worried about my ability to ride 112 miles if 47 left me feeling so beat. More of the same. I’m in the depths of Ironman training now. I made that sound like a bad thing. Honestly, sometimes it feels like a bad thing. But when I actually think about it, I’m enjoying the training itself. I can only think of a few workouts where I got back and thought, “Well, that wasn’t fun at all.” For the most part, it feels like I want the rest of life to get out of the way so I can train in peace. By “the rest of my life,” mostly I wish my job would still pay me to ride my bike all day and completely ignore my actual job duties. 😛 As my training progresses, I plan to continue watching for signs of overtraining and to be aware of mental burnout. On the training side, I’m hoping for more of the same. On the life side, I’m hoping that getting a car (soon!) will put an end to some of the more overwhelming elements of my life. Five months?! Nope. Nopenopenope. Except… yep. My Ironman really is only five months away. It’s terrifying and exciting all at once. When I think about it logically, I think I’m in good shape. I just recently ran a marathon (run portion, check) and earlier this year I did a swim workout that was 2.5 miles long (swim portion, check). Additionally, my recent return to cycling went better than I expected (bike portion, getting there). However, my visceral reaction when I think about the fact that my Ironman is five short months away is just a few levels shy of panic. At least the panic will serve as good motivation when the training hours ramp up! I think my fitness right now is stronger than my recent performances indicate. Recovering from a marathon takes time, and I’m trying to be patient with myself when an 8:30/mile pace feels hard and when my knee starts aching a bit after 30 minutes. I just try to remember that this winter, I was in the best distance-running shape of my life and that fitness built over four months like that does not just evaporate, even when you need to take some time off due to a bum knee. I built a strong base this winter, and it’s still there. It helps that I’ve maintained more of my cycling fitness that I thought I would. Some of that might be due to my awesome new bike, but I’ll take the credit anyway. I think my rapid swimming progress has come to an end, but it was a great ride, and I’m pleased at where I’ve ended up. This was a tough month mentally. I was coming off a very bad, very disappointing marathon and dealing with an overuse injury to boot. Not only that, but I was still dealing with the financial fallout of having my car stolen, and I had an upheaval in my social life that was… unpleasant. Plus, it was still winter. I am not ashamed to admit that I am a delicate flower emotionally, so all these unrelated stressors took their toll on me. Fortunately, I think I’m on the upward path again. It sounds strange, but being able to ride my bike helps. Of the three disciplines, cycling is the one that brings me the most happiness, and spring means that long rides are both feasible and enjoyable again. I don’t always have control over the stressors in my life, but one thing I can be consistent about is getting 7-8 hours of sleep every night. I am not one of those people who can function on six hours a night regularly. Sleep is vital to my mental health, and as my training hours increase, I need to make sure that I don’t steal those extra hours from the time I normally spend sleeping. Most encouraging workout: My 40+ mile bike ride this past weekend. I did not know what to expect when I got back into cycling after spending so little time on my bike this winter. I did not expect to be able to bust out a forty mile ride and stay strong the whole time. A couple of years ago during the summer did my half Ironman, I rode a very similar course as the one I rode today and I was absolutely wrecked at the end. It was a nice reminder of the cycling progress I’ve made over the past couple of years. Sure, I’ve got a long way to go, but I’m starting from a much better position than I thought I would be! Most discouraging workout: My pathetic five minute run. I’ll be honest. I cried a bit after this workout. I just feel completely out of control, like all the good decisions and rest in the world won’t actually do anything to make my knee begin to feel better. At this point, I’m pretty convinced I’ll be doing a swim, bike, walk in August. Official Ironman training is almost upon me. For the next few weeks, my goal is to prepare my body so that I can transition seamlessly into my Ironman training plan. In regards to swimming, this mostly means maintaining. For cycling, it means simply getting out there on my bike and racking up some miles. For running, it means primarily working on fixing my IT band and secondarily trying to get some miles in so that I’m not overwhelmed by my long runs during my training plan. I plan on continuing with my strength work and implement some form changes to get my IT band back in working order. Additionally, I want to get some other aspects of my life in order, mainly meal-planning and sleep. Jellybeans are not dinner! And I cannot survive on 6-7 hours of sleep a night. Some people can, but I am not one of them. The spring colors aren’t quite popping yet on the flora, but look at that sky! Well, here we are. Ironman Coeur d’Alene is happening this year in seven months’ time. I’m still on track, and my fears of burning out over the winter are proving to be unfounded. I’m actually feeling remarkably engaged mentally with the process so far. What I’ve managed to do is essentially up the intensity of my routine while decreasing the time spent. I think that has helped me remain excited about it and not overwhelmed. Blogging about it has helped too, I’m sure. I think I’ll be in more danger of burning out in the summer when I’ll be logging 12-18 hour training weeks. My marathon training is going well as it hits its peak. I ran my first 20 miler this month, and I hit an 8:11/mile pace—that’s faster than my pace during the run portion of my Olympic triathlon this summer. I honestly never thought I’d be able to run that fast for that long, so this whole winter, I’ve really been riding the improvement high. My swimming fitness is also improving, although that improvement has slowed down now. I’m in a good place to improve even more, though, once I start swimming more often in the spring. It’s been hard to watch my cycling fitness decrease. It’s discouraging to compare my rides this summer with my rides now, especially when I think about where I’ll need to be in August. I know it’s part of the process, and I’m glad I didn’t devote this winter to three hour trainer ride, but it’s still frustrating. Other than a somewhat nasty cold I came down with right after Christmas, my health has been solid. My weight is mostly stabilized, although it stabilized slightly lower than it was before I lost it this summer. As near as I can tell, instead of having a range of 130-134, my range is now more like 128-132. It’s not a problem now, but it could be when I start training more in the spring. I’ve had a few aches and pains after my long runs, but nothing has materialized into anything that I need to be worried about. My knee has been a bit sore off-and-on but has only given me real pain during one 15 mile run, and my left hip flexor was quite sore after my 20 miler, but that went away in a couple of days. I’ve had a few weeks where I found myself overtired from not getting enough sleep, but that has been easily remedied by simply going to bed earlier. I had a few low spells this month, but I was able to work through them mostly by getting more sleep. For the most part, I’ve been very encouraged and engaged in my training, even when that training requires me to wake up at 4:00am. Now that I’m approaching the end of my marathon training cycle, it’s easier to find the motivation to do the hard workouts because the finish line is in sight. The fact that I’ve been hitting my paces on my runs and swimming well also helps. Additionally, it’s hit that point in winter where I feel like I’m on the downhill slope towards spring. Since spring means better weather and longer bike rides, I have something to look forward to. Most encouraging workout: My 20 mile run. I feel like running your first 20 miler is, well, a milestone in marathon training. It signifies that you have “made it” and that you could go out there and run the full distance, even if the missing weeks of training may cause you to run slower than your potential. I know the real pinnacle of marathon training is the marathon, but the 20 miler comes close. Most discouraging workout: My 15.1 mile bike ride. It was the longest bike ride I did this month. Of course, I enjoyed it because it was a bike ride. And it didn’t go poorly. But this is by far the shortest “longest ride of the month” I’ve had in a long, long time. 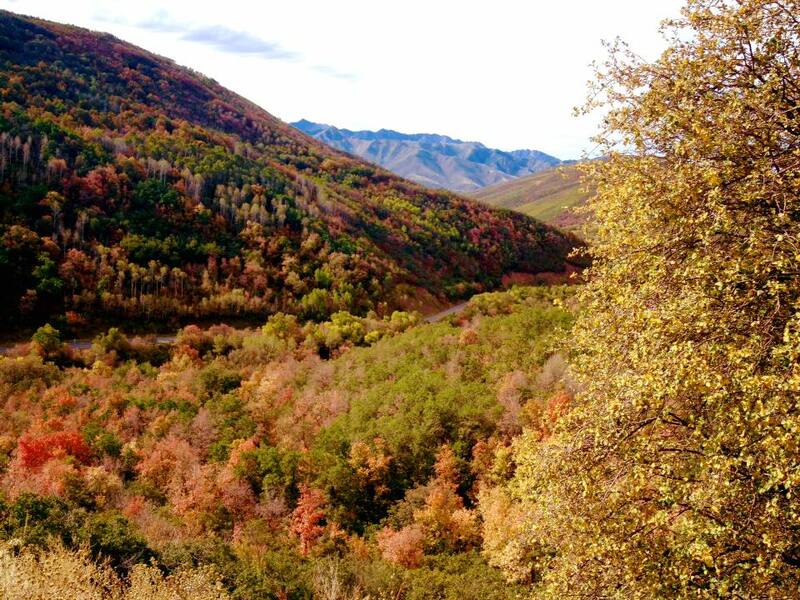 I miss the days of getting up at 6:00am to ride 30-40 miles on a Saturday or going for a “short” ride up Emigration Canyon after work. This bike ride stood out because it reminded me exactly how far I’ve fallen in regards to cycling. I know that my focus on running this winter will help me pick up cycling again quickly in the spring, but it’s still discouraging. The theme for this winter carries on: Running and swimming are great, but what about cycling? I know spring is coming, though, which means I only have one more month until cycling can take a front seat in my training again (weather permitting, of course). At this point, I’m starting to think beyond the marathon. I’ve got my race calendar mostly worked out for the 2016 season, and I’ve started studying the (free) Ironman training program I selected. Oh, and I’ve finally managed to make core work a regular part of my routine. I’d like to expand how much I’m doing. I hope to eventually be doing ab exercises four times a week, with a shorter session (8 minutes) three times a week and a longer (length to be determined) session once a week. *My hour-long race was more than 3000 yards and took place before the 21st, so it technically happened during this month. However, when I come up with the averages, I only use completed weeks just to make it easier. So since I will be using that swim towards my averages next month, I’ll use it as my longest swim that month as well. It seems like just last week that I wrote my eleven month checkup. I cannot believe how quickly the time is passing. When I initially decided that I would do Ironman Coeur d’Alene, the race was in late June. They changed it just this year to late August, and I am so glad they did. Those extra two months seem absolutely vital at this point. Those extra two months are giving me the time to complete a whole marathon training cycle this winter which will be a huge confidence builder for me. I’m a little bit disappointed because I know I’ll likely be racing in warmer weather than I would have been, but this year’s Ironman Coeur d’Alene was in June and was still over 100°, so at least I know to prepare for warm weather. It won’t sneak up on me. Cycling is winding down and running is ramping up. And, right on schedule, I’m feeling great about my running. I’ve been hitting paces I haven’t hit in a long time, especially when I visit Idaho and have the elevation advantage. I wish I could match my Idaho performance here in Utah. The elevation matters, but I think I also run faster when I’ve got a running partner. When my dad is there to talk to, I forget how miserable running is and don’t have trouble keeping my pace up during the middle miles of a long run. Regardless, I feel well-prepared to start marathon training in a couple of weeks. Looking at my recent paces, I’m even considering training a little more aggressively than I had originally planned. My long runs are currently slated for a 9:00/mile, but maybe an 8:45/mile would be more in line with my current fitness. I’ve had a lingering cough for a long time now, but it hasn’t bothered me much recently. My appetite has been much better, and I’m back up to a (mostly) healthy weight. Really, my biggest issue is general fatigue. I’ve just been tired lately. The reason for that? I’ve been staying up too late. Simple as that. I need to get my act together and put myself to bed 30-60 minutes earlier in the evenings. Despite a slight panic when I realized the Ironman was only ten (TEN!) months away, I have been surprisingly tough mentally. I’ve been working on positive self-talk, at least in regards to triathlon. It’s strange, but positive self-talk is easier for me in the realm of athletics than it is in real life. I can’t find my keys? I’m a loser who never should have graduated high school! I have a seriously bad workout? I do what I can to finish it and plan to try a similar one the next week. In addition to positive self-talk, I’m focusing on staying realistic. I’ve been reading Ironman Coeur d’Alene race reports so I can try to anticipate and train for the very real difficulties I’ll face on race day. So far, the most common issues (besides the fact that it’s a freaking Ironman!) seem to be choppy water and hills on the bike. Next summer, I’m going to take a few day trips to Bear Lake to practice swimming in a large enough body of water to experience some noticeable chop. And you better believe I will be prepared for the hills with all the canyons around here. Most encouraging workout: My 51:58 climb up Emigration Canyon. I had been chasing that PR since June. I knew I had it in me, but I was beginning to think the conditions wouldn’t align before winter hit. I felt strong and fast, and I think I’ve finally learned how to push myself to the point of exhaustion on the bike. Most discouraging workout: A really tragic speed workout on a treadmill during my lunch hour. It was inexplicably bad—I still haven’t come up with a plausible theory for what happened to me that day. I’ve done a good job preparing for the start of my marathon training. 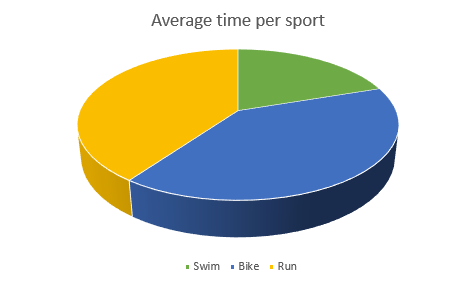 Now I just need to keep up with my cycling and swimming even when I’m focusing on running. I will be running three times a week. I’d like to continue to get at least one good weekend ride in every week, at least while the weather stays pleasant. However, I suspect that as the weather gets colder, I’ll start swimming more. During the winter, I’d like to start attending masters twice a week instead of once. Additionally, I want to add some core work to my routine. For my next checkup, I want to have started doing a short ab workout 2-3 times a week. I can’t tell you how many times I have decided I should probably do this and then have just never gotten around to it.